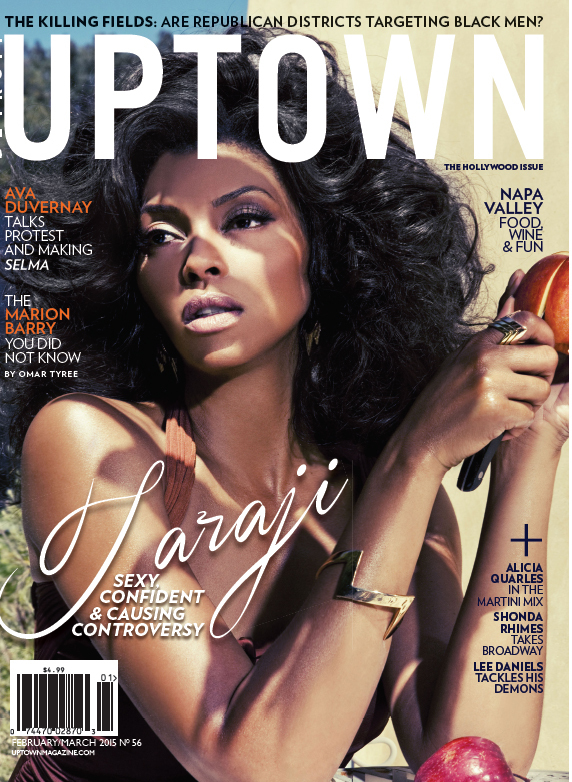 In between filming the super successful TV drama, Empire, Taraji P. Henson is slaying magazine covers and giving 20-something year olds a run for their money. The 44 year old actress recently sat down with Uptown Magazine to talk Empire, competing with White actresses, and her son being racially profiled while in college, which led to her switching his schools. She also talked about being able to represent different types of Black women in leading television roles alongside Tracee Ellis Ross of Black-ish, Kerry Washington of Scandal, Gabrielle Union of Being Mary Jane, and Viola Davis of How To Get Away With Murder. Taraji has come a long way from what she calls “the hood” in D.C. to now becoming a TV fixture in 10.8 Million homes nationwide. She’s now feeling the success of no longer being recognized by just the Black audiences, but by people all over the country. Of the 10.8 million homes tuning in to watch Cookie’s crazy antics, Empire has reeled in 4.2 million viewers from non-Black homes.